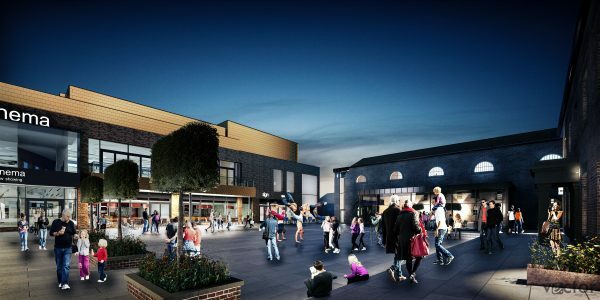 The multimillion-pound plan to redevelop Northallerton Prison as a mixed use retail, residential, leisure and office destination with large public square has been given the go-ahead. Hambleton District Council’s planning committee approved the proposals on 15 November 2018 for the scheme designed by The Harris Partnership for joint venture developers Central Northallerton Development Company (CNDC) and Wykeland Group. The £17m Treadmills project, which incorporates five grade II-listed buildings, is on the site of a former prison in North Yorkshire which housed convicts for more than 230 years before it was closed down in 2013. Lidl has been named as the anchor tenant and Hull-based C4DI – the Centre for Digital Innovation – will operate office space, with works expected to start in 2019.